Do any of my readers crave a sweet or crunchy snack around 4 o'clock in the afternoon? 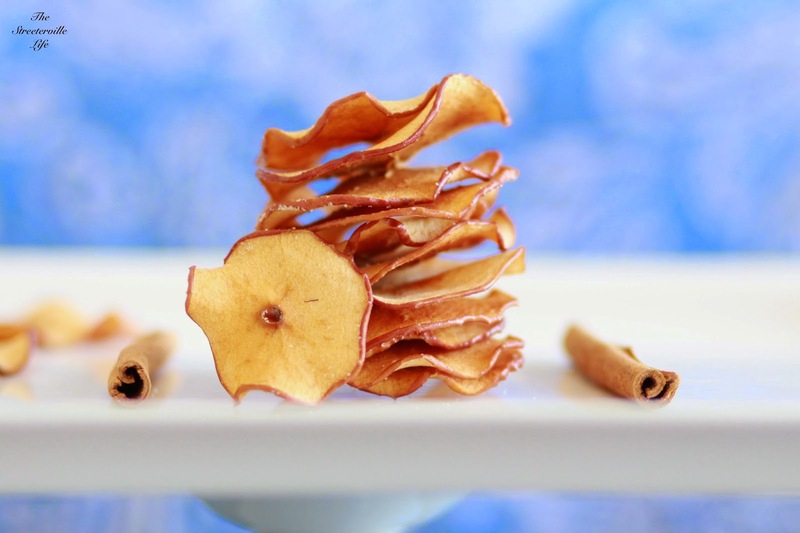 Well, if you are anything like me then you need to try these baked apple chips. I was amazed at how easy they are to make and even more amazed at how good they tasted. Not only is it a healthy snack, but it also holds you over until dinner. 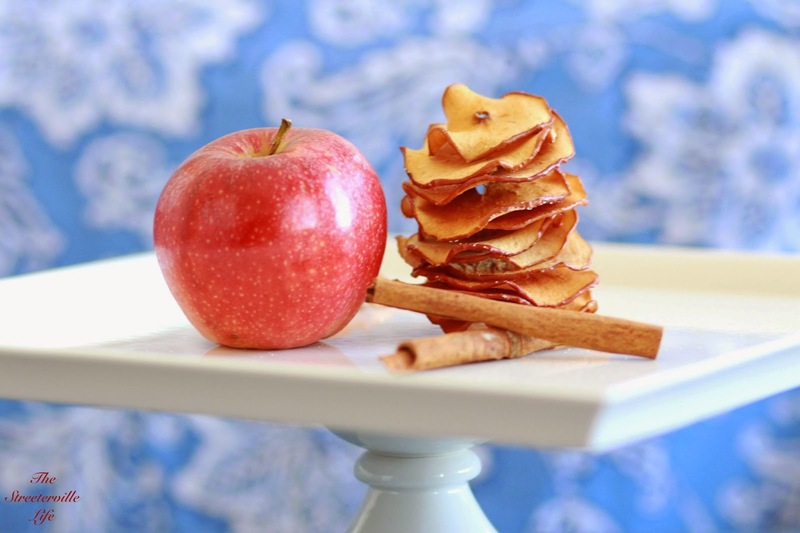 My husband is a huge fan of these apple chips and has even asked me to make another batch! 1. Preheat oven to 230 degrees F.
2. Slice apples thinly. I highly recommend using a mandoline! 3. Place the thinly sliced apples on a baking sheet that is lined with parchment paper. 4. In a small bowl, combine the cinnamon and sugar. 5. Sprinkle the cinnamon sugar mixture over the apples. 6. Bake apples for 1 hour. 7. Remove apples from oven and flip the apples over. 8. Bake for 1 more hour. 9. Take apples out of the oven and allow them to completely cool (another 45 mins). The apples will become crisp at this time. Be sure to store them in an airtight container. Check out Penzeys Spices for added flavor! Oh this is super simple! I just bought a bag of gala apples. What are the measurements for the sugar and the cinnamon? I mixed about 1 teaspoon of cinnamon and 2 teaspoons of sugar (this was for 2 apples). I did make a batch with just cinnamon and no sugar and they tasted just as great since the apples are already sweet!